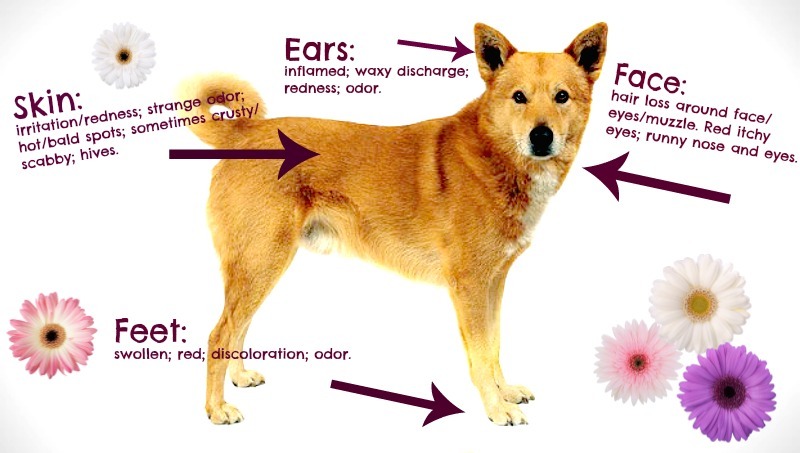 Food allergies in dogs skin - Symptoms, how does allergy look like? Dog food allergies are mostly confused with food intolerance when the food merely is not accepted by your pet. Allergies, also known as food hypersensitivities, are unfavorable reactions of the immune system to a certain protein food like beef or dairy in your pet’s diet. Like humans, dogs can also be allergic to certain foods. Food Allergies in Dogs skin is the third most common cause of allergic itching and scratching in dogs. Food allergies are not seasonal and are noticeable only when there is a negative response from the immune system to certain kind of foods. Proteins are most common foods that cause allergic reactions. You should understand the difference between food allergy and food intolerance to some food. What are Canna Pet benefits? How does it help the pets to eliminate health conditions such as digestive issues, anxiety, fear, seizures, arthritis etc? Are there any side effects? read everything you wanted to know about Canna Pet here. Dog food allergies are mostly confused with food intolerance when the food merely is not accepted by your pet. Allergies, also known as food hypersensitivities, are unfavorable reactions of the immune system to a certain protein food like beef or dairy in your pet’s diet. Whereas, food intolerance is when a certain food is not accepted or not liked by your pet. One very important thing to consider is that allergy can and generally shows up later after a long time following your dog’s diet. An aged dog can develop a food allergy at any point of time in their lives and to any kind of food. If you make a change in your dog’s food, either a new brand or new ingredient or new composition and your dog gets diarrhea, it is food intolerance and not a food allergy. 1. Beef is largely the most common cause of dog food allergies. Dog food allergies can develop over time so you need to regularly monitor and notice any of the symptoms beforehand. The easiest solution is to change the food and try different dog food and observe your dog carefully to see if the skin problem clears up. If this does not works then a visit to the veterinarian is must for further assistance. To determine whether the pet has a food allergy or food intolerance, visit the vet. Then the vet may suggest a prescription food or novel food trial or you can try a premium food that contains minimal protein and carbohydrate. Whatsoever the case, shifting to the new food for your pet might be difficult. So initially, mix a small amount of the new food with the current food and gradually increase the new food over a period of 10 days. Novel food trial means that your dog is placed on a diet of foods that previously he has never been exposed to. Now, before hurrying to buy any new food for your pet, please note that switching to a different brand or flavor or even a hypoallergenic, organic or homemade food will not establish food allergy in your dog. It is already known to you that the most common foods that cause skin disease due to food allergy in dogs are protein rich food such as beef, dairy and wheat, egg and so on. However it is very unfortunate that most of the foods contain many of these ingredients and it is very difficult to find an ingredient that your dog hasn’t been exposed to before. Thus, the novel food trials are best executed only after a visit to the vet first and then using the prescribed foods. The trial may last for about 6 – 12 weeks. Keep a record of food type and quantity of food that your pet eats. Also note down if there are any reactions. Share these records with the pet’s vet to notice any changes in your pet’s symptoms. It is also important not to provide your dog with any other foods or treats during this course. Or else it may affect the end results of the test. This test will help you determine the exact diet that won’t cause food allergy harming its skin. Avoid foods that are primary sources of proteins like wheat, beef and dairy. Avoid treats and food additives. Follow the strict novel food trial test. Other most important points to note are that your dog with a food allergy will not respond to antihistamine or corticosteroid injections. Thus, avoiding the regular or casual food is the only method to treat this. Antibiotics or anti-fungal medications for dog food allergies may be prescribed by your veterinarian if secondary pyodermas or Malassezia infections are noticed. As long as you provide safe foods to your dog, they will be free of symptoms and you can easily maintain them at home. To provide relief to your dog from itchy skin, use fatty acid supplements. You can also use shampoos that can help prevent skin infections. Sprays containing oatmeal, aloe and other natural products are also available to help during skin diseases. The treatment for skin disease caused by food allergy is more about trial and error of food products rather than medications. The vet only gives prescribed food that the dog should eat instead of medicine. Moreover, you can use shampoos or sprays to provide temporary relief from skin itching after consulting the vet. However, for severe cases, the most effective and quick responding medications are glucocorticoids or steroids. However, steroids can cause serious side effects such as gastrointestinal ulceration, diabetes mellitus, pancreatitis and Cushing’s disease. Normally, steroids are safe to use for a short time like when a dog suffers allergy symptoms for just a few weeks in a year, but the risk is more if the dog takes them for a longer period of time. Skin itching and dryness are most common skin conditions in dogs. With this conditions, along with your dog, you will also suffer. The constant itching will make both of you restless so given below are a few home remedies to relieve your dog. Epsom Salts: Natural remedies for hot spots and skin allergies include Epsom salts. The healing benefits of Epsom Salt are no secret today and have been used for generations. Gentle soaking of any infected skin area with Epsom Salts including the feet, feline acne, hot spots or any other part, at least twice a day will discourage infection, reduce swelling and promote healing. Oatmeal: Ease your dog’s itchy skin using an oatmeal soak. A mix of oatmeal and water can be rubbed on the affected area of the dog’s skin to help relieve dryness and soothe itchiness. Leave the mixture onto the skin for about ten minutes and then wash it off with warm water. Baby food oatmeal is a great and inexpensive soak to use. Dogs with skin allergies, infections, and other diseases which cause itchiness have shown immediate relief with this approach. Marshmallows: You can use a little number of white marshmallows as treats for dogs with food allergies. These are low in calories and probably your dog will love them. Listerine, Baby Oil, And Water: Treating hot spots with equal parts of Listerine, baby oil and water will ease skin condition. Put the mixture of all three in a spray bottle, and massage a small amount onto the skin for at least three times a day. However, consult veterinary before using this. 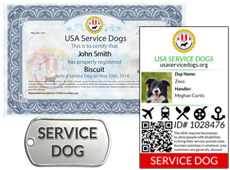 Quality Of Food: Feeding the dog with branded and superior quality food reduces the potential of food allergies. Also read the ingredient label carefully before buying the product. Watch out for any contamination if any in those packed food that you buy for your dog. Mostly it is considered that the ingredients are responsible for food allergies whereas the food contaminants in the food itself might be the cause of allergy. Restrict Dog Area: If your dog spends time in the open you should create a restricted area for it to prevent foraging and hunting that can alter the test diet adversely affecting the test result. Cooperation: All family members should be involved in the curing process. They should be aware of the treatment and test protocol. All should assist in keeping the test diet clean and should not provide any other food sources. Cooperation is necessary for successful treatment of this condition. Taking care of your dog is a routine activity. The right food with essential nutrients is necessary. If you notice any odd behavior or anything abnormal in your dog you should immediately respond to it. Provide your dog with varied food so that they are not prone to food allergy. 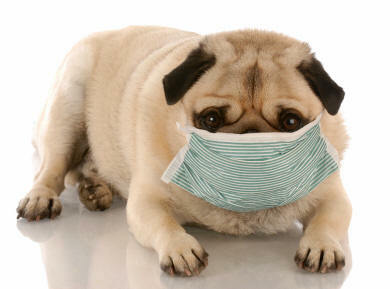 Regular visits to the vet are also recommended to maintain your dog’s health and in turn yours.